RIBA: Why do women leave architecture? Filoli is a beautiful historic estate with extensive pleasure gardens and 654 acres of agricultural grounds and woodlands located on the eastern slope of the Coastal Ranges in Woodside, some thirty miles south of San Francisco. The estate was built between the years of 1915 and 1917 for Mrs. and Mr. William Bowers Bourn II according to the design of their friend, architect Willis Polk. The garden design was entrusted to another friend of the Bowers, Bruce Potter, a poet, interior designer, muralist, and stained glass artist; Isabella Worn was responsible for planting selections and installations. The name of the estate comes from Mr. Bourn's credo: " to fight for a just cause; to love your fellow man; to live a good life," a testament of humanitarian philosophy of this gold mine owner and president of the Spring Valley Water Company. In mid 1930s the estate was purchased by Mrs. and Mr. Roth and underwent further horticultural enrichment, which contributed to its worldwide recognition. Today, Filoli is a registered state landmark, and since 1975 it is under the patronage of the National Trust for Historic Preservation. The gardens were inspired by traditional English design to form a succession of individual formal garden rooms, and to follow the north-south axes of the brick mansion. The estate was sited in the landscape in such a way as to make the most of the natural beauty of the oak woodlands surrounding it. For more information, go to the Filoli web-site. $10.00. Includes architectural tour and gallery admission. Pay at the door. The Asian Art Museum, which opened on March 20, 2003, was created through the rehabilitation and adaptive reuse of the city's former Main Library, a 1917 Beaux Arts-style building recognized as one of San Francisco's most important historic structures. The $160.5 million facility was designed in a joint venture by Hellmuth, Obata & Kassabaum (HOK), LDA Architects and Robert Wong Architect in association with Gae Aulenti, FAIA, oversaw the design of the Asian Art Museum. One of the most sought-after museum designers in the world, Aulenti specializes in the adaptive reuse of historic structures to museum spaces (Musée d'Orsay, Paris; Palazzo Grassi, Venice; Museu Nacional d'Art de Catalunya, Barcelona). Join us for a one-hour private architectural tour of the Asian Art Museum, and stay on to view the galleries at your own pace. A self-guided audio tour of some 30 works in the collection is free with museum admission. The museum is open until 9 PM that evening. 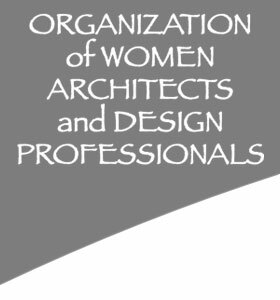 The inspiration for my research paper, "Changing Faces: A Look at Gender Diversity in the Profession of Architecture," stemmed both from my six years of personal experience as a practicing registered architect and from reading the recently published British study entitled "Why Do Women Leave Architecture?" I was struck by the boldness of the RIBA-sponsored report and the parallels in the challenges that I saw confronting my own professional development. My research sought to identify conditions in the United States regarding gender diversity within the profession of architecture and to examine the causes for its absence. Three demographic statistics highlight the issue of gender diversity in architecture and raise related, but separate, questions. To begin, our professional organization, the AIA, released information late last year showing that twenty percent of registered architects are female. While this was a nine percent leap since 1999, four out of five of our country's architects are men. Secondly, in the area of gender diversity, architecture lags behind almost all other professions. For example, this ratio is roughly fifty percent behind the professions of law and medicine where approximately a third of their practitioners are female. The final pertinent and puzzling statistic concerns architectural education. Schools show near-parity in gender among their student ranks, a demographic that has remained stable for nearly twenty years. Yet, from this balanced ratio emerges a profession where women represent only twenty percent of all registered architects. The statistics show an attrition rate in architecture that stalls women far more often than men and affects our profession more acutely than allied fields. In my analysis of these puzzles, I proposed that a hard work - low pay combination rooted in education, a lack of mentorship, and stymied advancement loosely categorize aspects that contribute to gender disparity in the profession. I further theorized that the lack of an underlying public service initiative within architecture separates our profession from other fields. I agree with the U.K. research; women do not leave for a singular reason. My research posits that an entrenched culture within the profession produces an obstinate cyclical pattern that disadvantages women in the practice of architecture. While isolated issues contribute to women's under-representation within the field, these issues are intertwined in such a way that specific factors or encounters weave a pattern that together reinforces the profession's homogeneous composition. Fortunately, interest in the issue of architecture's gender diversity is beginning to coalesce, with the British study marking a new level of institutional recognition. "Why Do Women Leave Architecture?" was quite possibly the best thing that could have happened to the diversity cause in American architecture. It has boldly and publicly asked a question that is as relevant to the United States as it is to the UK. One does not have to strain to see correlation between cultural and professional conditions on both sides of the Atlanticóour architectural system is a largely a blueprint of the western-European tradition. The report was sponsored by a well-respected professional organization (RIBA). Our own professional organizations, however, do not have to take the heat for reporting the situation; they can simply disseminate the findings. The British study not only tackles the realities within the profession with candor, but it also compiles an impressive matrix of over one hundred recommendations that outlines actions and responsibilities in a strategic manner. educating about the value of diversity." This roughly fifteen-year old "vision" derives from a committee that evolved, conceptually, out of the early 1990's AIA Diversity Task Force. Now termed the AIA Diversity Committee, the new eight-member group operating at a national level is comprised of two committed staff members and six invited volunteers with full-time architecture-related positions. Nationally and internationally, pronounced disparity in gender diversity in the profession of architecture is increasingly recognized as a problem. The matter of gender diversity is both a fundamental issue of fairness and opportunity for women; further, it is also one of meeting the pragmatic needs and desires for American society. Even so, the dynamics of architecture's culture are slow to change. As a profession, architecture stands to gain from this shift. Diversity's sine qua non surpasses practical survival to enhancing value, a corollary that stands to offer long-term benefits to the entire profession. Momentum from other professions, as well as from within architecture, is on the side of greater diversity. Continued pressure within our profession is required to keep this fragile momentum moving forward. Keep in mind, as the British research has shown, women do not want to leave architecture. The research paper on which this synopsis is based was written for Professor Despina Stratigakos' course, "Gender, Space, and Architecture,"offered by the Women's Studies program at Harvard University in fall 2003. The Royal Institute of British Architects (RIBA) has published the results of its research into the drop-out rate of women from architectural practice. This is the first research of its kind to have been completed. Carried out by the here. The survey of 170 women revealed that the gradual erosion of confidence and de-skilling caused by the lack of creative opportunities for female architects, sidelining, limited investment in training, job insecurity and low pay, led to reduced self esteem and poor job satisfaction in architectural practice. The research found that women's career paths slowed after childbirth and that inflexible working arrangements, including long hours and a lack of transparency in relation to pay and promotion, were the main reasons cited for women with children leaving the profession. The research concluded that women's decisions to leave the profession were not linked to academic or practical ability or to poor career choice. The report also stresses that many of these factors would apply equally to men leaving the profession. Currently, women comprise just 11% of RIBA chartered architects. The number of women entering architecture courses has risen from 27% in 1990/1 to 38% in 2002/3. Following the findings in the research report, the RIBA will be making recommendations to its members, producing online guidance on employment law and will be highlighting best practice flexible working to employers. Sarka Volejnikova joined the OWA in 2002, and at once started to participate in the organization's projects and activities. Last year she helped in planning and coordination of the construction of the labyrinth at Westerbeke Ranch. She was born and raised in Czechoslovakia. In 1998, just three months before the "Velvet Revolution", she decided to defect from the communist regime with her sister. After a short stay in France she came to the United States with a clear vision of advancing her education. She attended community colleges in Philadelphia and Oakland, and eventually she transferred to UC Berkeley College of Environmental design to study Landscape Architecture. She received her BLA in 1997, and since then has been working as a landscape designer in Berkeley, Oakland, and San Francisco. Her interest in environmental and social issues brought her to Cliff Lowe Associates, where she currently works on urban infill and community revitalization projects in San Francisco and the Bay Area. Mimi Malayan has returned to OWA's steering committee after serving for 2 years in the early '90s. She is a landscape architect, with 15 years of experience, working as an associate at MA Design in San Francisco. Mimi attended the 3 year graduate program at Cal, after working in various other fields for 10 years after college, and finally finding her passion. She looks forward to more involvement with OWA, working with the steering committee members, and contributing to the newsletter. Since its beginning in 1972, OWA has maintained an archive with records such as their newsletters, steering committee rosters, agendas and minutes, financial records, health plan records and other files of interest to OWA members. For many years, Mui Ho has graciously provided space in her office to house the archive, thank you so much, Mui! In 1987, Kiss Raupach did the monumental work of organizing the records, putting them in chronological and subject order. We really appreciate Kiss' efforts and thank her wholeheartedly! On November 13, 2003 Kiss and Tinge met in Mui's office and selected four big boxes of records for transfer to the International Archive of Women in Architecture at Virginia Tech in Blacks burg, VA. With the help of her husband Marvin, Tinge mailed them the following day. After having emptied the files from 1972 to 1987, we realized that there was not much record keeping since then. Thus we issue a call for submitting records which are still in your closets or basements. We are looking for all kind of OWA records such as those mentioned above plus records of the annual retreats, Thea and Thea anniversary celebrations, house tours and other OWA sponsored events. We appeal especially to former steering committee members and retreat leaders and house tour leaders to transfer their records to the OWA archive. If you have any old records, please organize them as much as possible and contact Mui Ho or Inge Horton to discuss what kind of records you have and arrange for a time when you can deliver the records to the OWA Archive at Mui's office at 1605 Arch Street, Berkeley. We would appreciate if you could do that before the end of May 2004. Also, OWA regularly sends a copy of the newsletter to the Environmental Design Library at UC Berkeley. However, there are a few issues missing. If you have old issues, please contact Mui Ho to determine if your issues are needed for the Library.